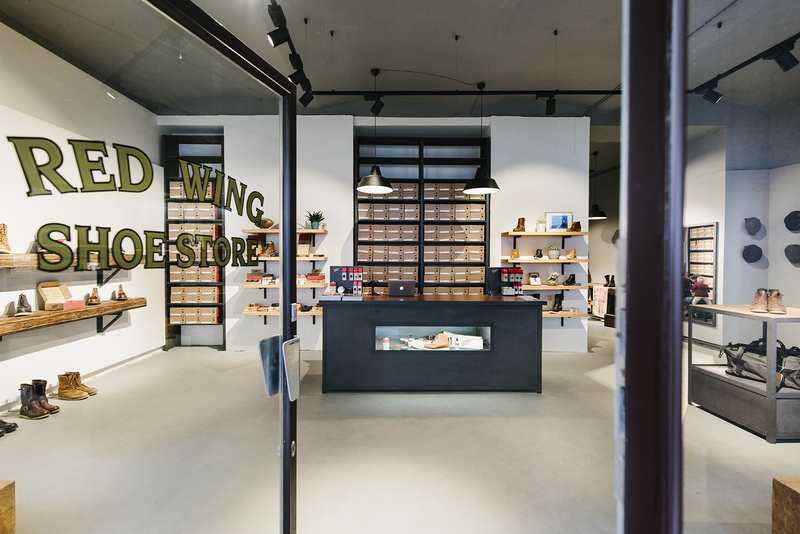 The traditional brand Red Wing, founded in 1905, opened its own store in Vienna on October, 13th 2016, making it the 8th Red Wing Shoe Store to open its gates in Europe. The store is situated in the 7th Bezirk, an energetic area surrounded by new and traditional store concepts, and a variety of places to eat and drink. 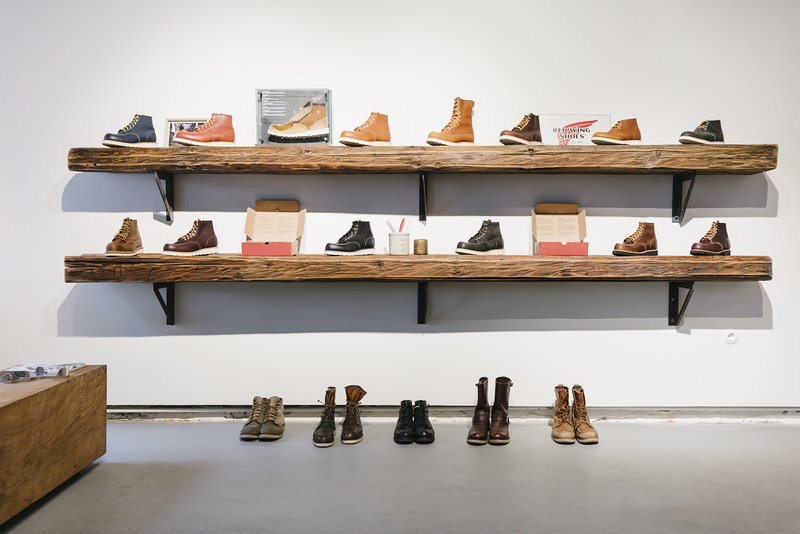 The Red Wing Heritage Collection, including the newly launched Women’s Collection, is presented in a 100 m2 space, making it the largest Red Wing Shoe Store in Europe to this date. The store offers its guests the complete Red Wing experience, which includes advice on proper fit and boot care, knowledge of leather and construction, and the possibility for repair and resoling with original parts. In addition to the boots, the store also offer selected products of the high-quality brands Filson and Stetson. Aside from quality and service, the store is also always a good place to visit simply for having a coffee and enjoying a talk among friends.